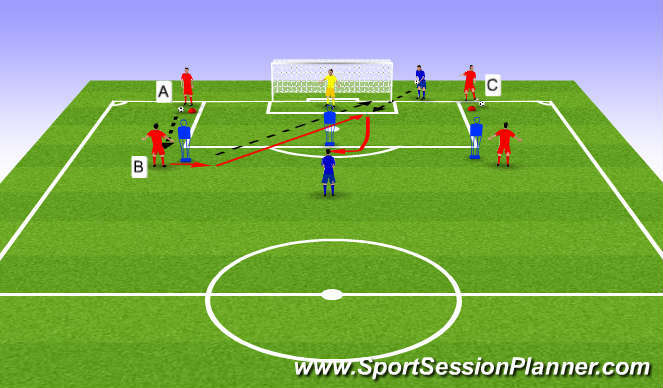 A passes to B , Who moves ball round mannequin to hit far corner. B then follows shot for a header from server. becomes C on other side.